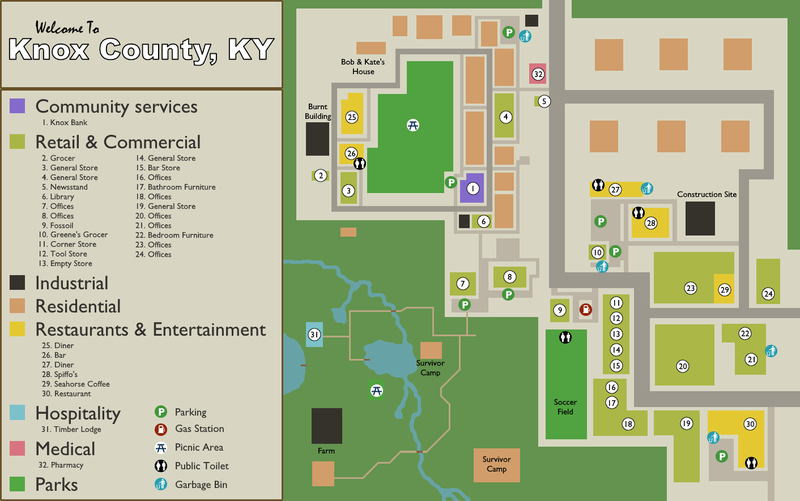 This article is about the recreated 0.1.5 map of Knox County. For the original 0.1.5 map, see Suburbs. Note: This page was updated with Version 39.66.3 of Project Zomboid in mind. If the page turns out to be outdated please add an outdated Notice banner. 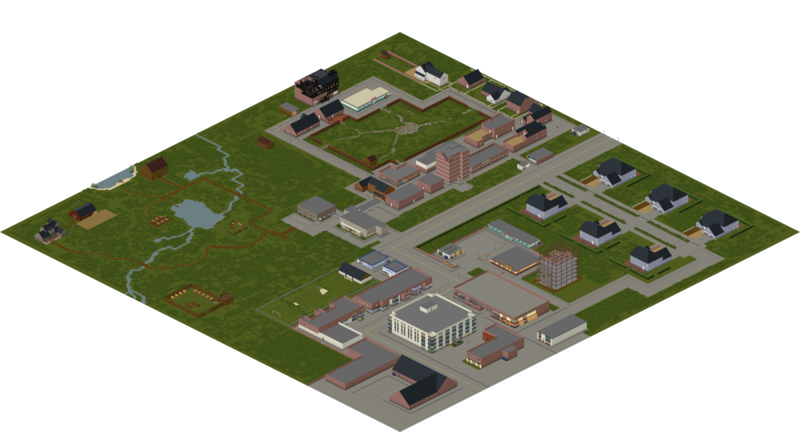 You Have One Day is a challenge game mode in Project Zomboid that takes place in a recreation of the original 0.1.5 map of Knox County. The map was created by community mapper BobHeckling using the current PZ toolset and added to the full game in build 32 (August 2015). Upon selecting the You Have One Day game mode, the player is presented with the standard character creation screen. The game will then begin in Bob and Kate's old house, just as it was in the 'Til Death Us Do Part story mode. The player is presented with a message saying "In 24 hours your trip back to Knox County will become Hell on Earth...", upon which the clock will begin ticking. The player begins with nothing apart from their clothes and key ring, however the clock will always be displayed in the top right-hand corner even though the player does not have a digital watch or alarm clock. The world must be explored for anything that might prove useful in defending against the massive zombie horde that will arrive at 9am the following day, giving the player just 24 hours, or 1 hour in real-time, to prepare themselves. Zombies will still appear throughout the map, however at a low count, giving the player enough safety to prepare their gear and defenses. Once time runs is up, hordes of zombies will begin to spawn at an alarming rate, at this point the player must be in a well defended location, which would ideally be isolated. All zombies know exactly where the player is, therefore the player can easily be caught off guard with no escape strategy. The map is often separated into 4 sections: the suburbs, villas, downtown district and woods. A fully interactive map is available thanks to the efforts of Blindcoder. The suburbs was the first location in Project Zomboid, first seen in the pre-alpha tech demo. It mostly contains an assortment of houses and apartment buildings, along with various restaurants and stores. Bob and Kate's house, the starting location of the player. Burnt apartment building, hides an assortment of useful items such as tools, weapons (including firearms) and Category:food, however it can be dangerous to traverse. Library (6), containing lots of skill books and potential recipe magazines. Diner (25), 3 fridges that potentially contain lots of food. Grocery and general stores (2, 3, 4, 6). The villas is a more upper class area than the suburbs, with larger and nicer houses along with larger restaurants and a pharmacy. Pharmacy (32), packed full of first-aid being the only one of its kind on the entire map, a key location that should be visited by anyone. Diner (27), with many fridges full of food. Spiffo's (28), similar to the diner, however with fewer fridges. Greene's Grocer (10), an assortment of food. The downtown district is the commercial center, mostly populated by office and a variety of retailers. General store (19), a massive store with a heap of food and a massive storage room containing many crates. Seahorse Coffee (29), one on the ground floor and another on the first level of the center office building (20), containing ready-to-eat baked goods. Restaurant (30), a large classy restaurant with a few fridges and some alcohol for when the times get tough. Tool Store (12), a small store containing a large variety of tools and materials. Fossoil (9), gas station with plenty of reading material and some petrol pumps. The woods is a somewhat dense wooded area, a variety of locations to set up fortifications or just loot for the bountiful supplies. There are various water sources scattered around, including a well, rain collector barrels, rivers and lakes. Survivor Camp, two abandoned survivor camps, one to the north and one to the south. 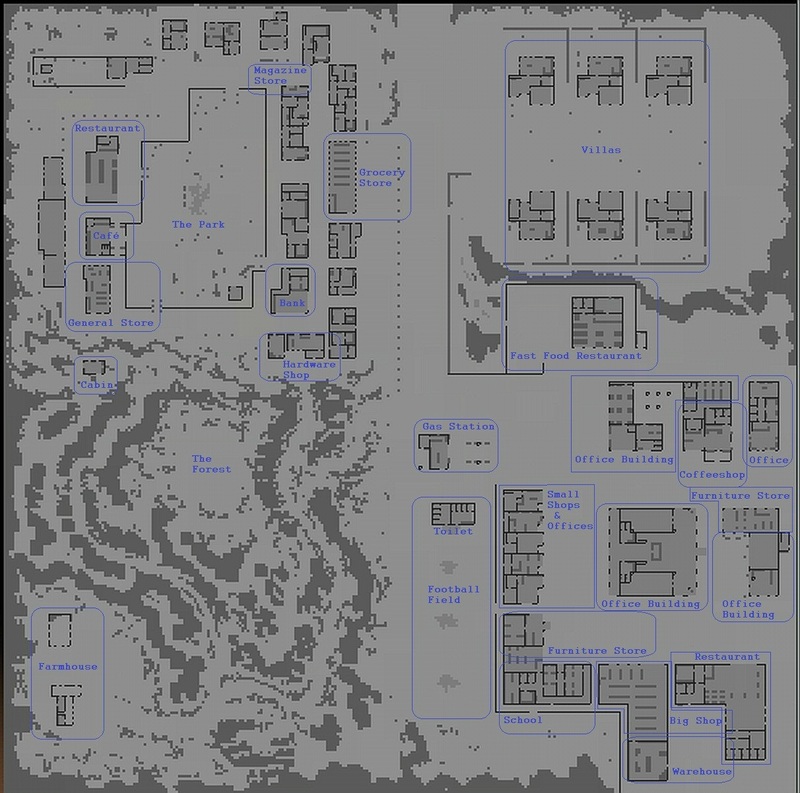 Both camps are walled off, however the southern one contains a tower with a large variety of firearms, ammo and weapon mods. Farm, to the south-west, has a well and a two-story house. Wooden Lodge (31), next to a lake on the edge of the map, with two-stories. Like the other challenge game modes, You Have One Day does not have any customisable sandbox settings and instead uses preset settings. This page was last edited on 2 June 2018, at 11:02.